This is a 224-page fully illustrated Bible for children ages 5-9. This is a hardcover book that features a Table of Contents for an easy reference and presentation page. This makes an ideal gift giving. This was developed for children in the early reading stage. 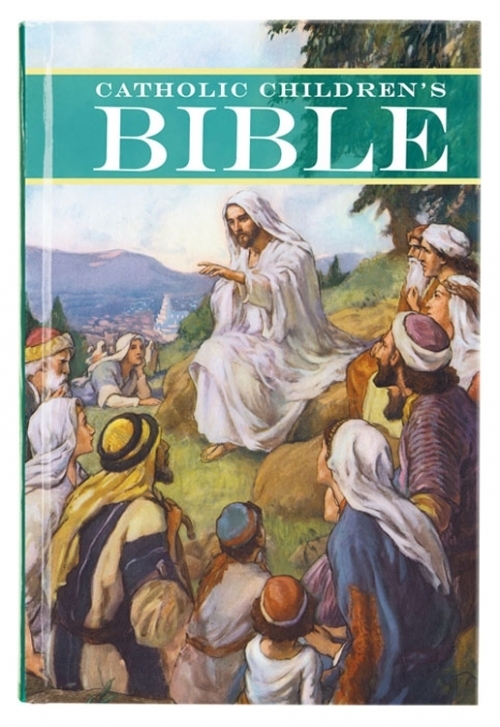 This fully-illustrated Bible from Aquinas Kids is sure to be a new classic!